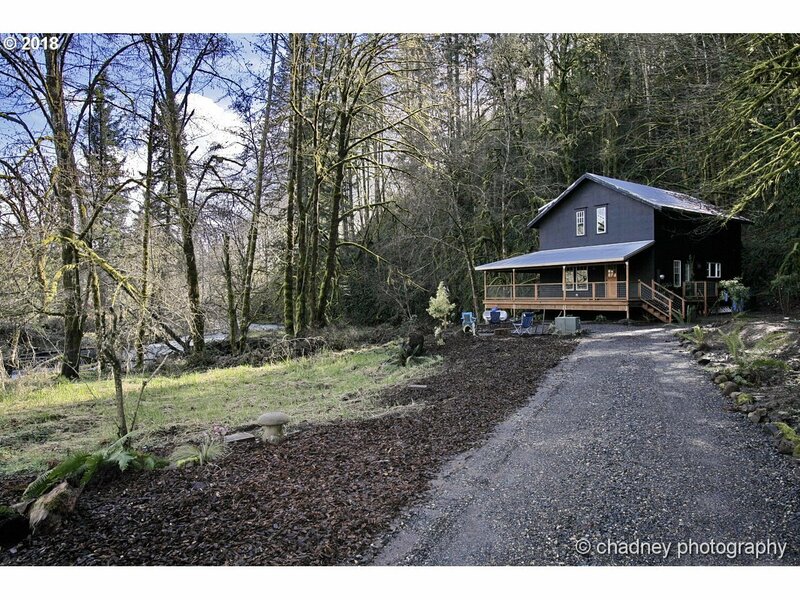 Nestled in lush tree's next to the Scappoose Creek sits Paradise. Move in ready. The new Suburbia! Live in the country and still be close to the Portland metro area. Home features Vaulted ceilings, French doors, 9 ft ceilings, Fireplace, wrap around porch, view from every window, Privacy and designer touches.